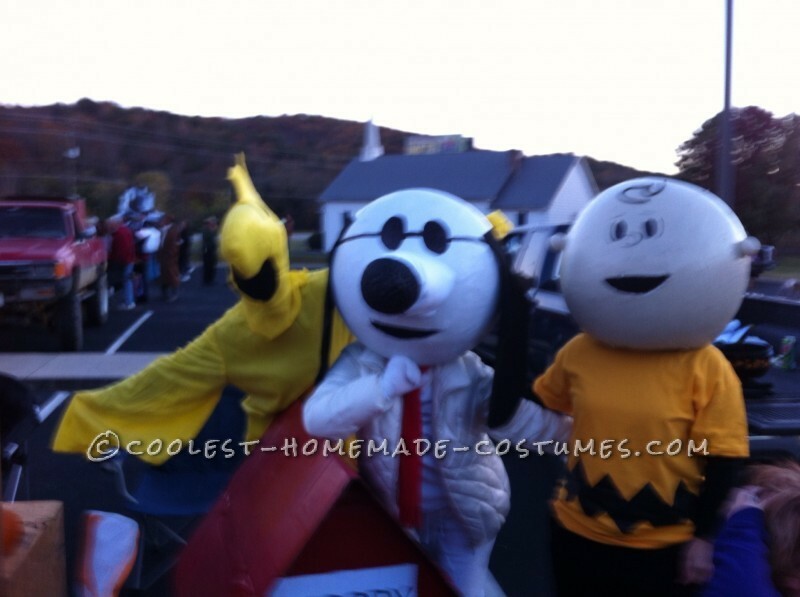 We purchased 19 inch beach balls and paper mached with 3-4 layers for our Peanuts gang costume. Balls were then reinforced with Kilz and cardboard around the opening. We then spray painted with flesh color. This process took 2-3 days (took a little longer to smooth). Hair was yarn for Marcy, Peppermint Patty, and Sally. Pig Pen, Charlie Brown, and Linus had pipe cleaners for hair. Peggy Jean, Freida, Lucy, and Schroeder’s hair was made from stuffing and spray painted. Sally’s bow was made from fabric and wire hangers. Spray adhesive glue was used to attach all hair. Snoopy was painted white with fabric for his ears. Foam wrapped in fabric was used for his snout and a Styrofoam ball cut in half for the end. All mouths were cut out and black mesh in the background so you could see. All eyes and noses were drawn on the balls. The balls were stuffed with pillows and foam. Woodstock costume was purchased with a few additions (black mesh and extra stuffing). 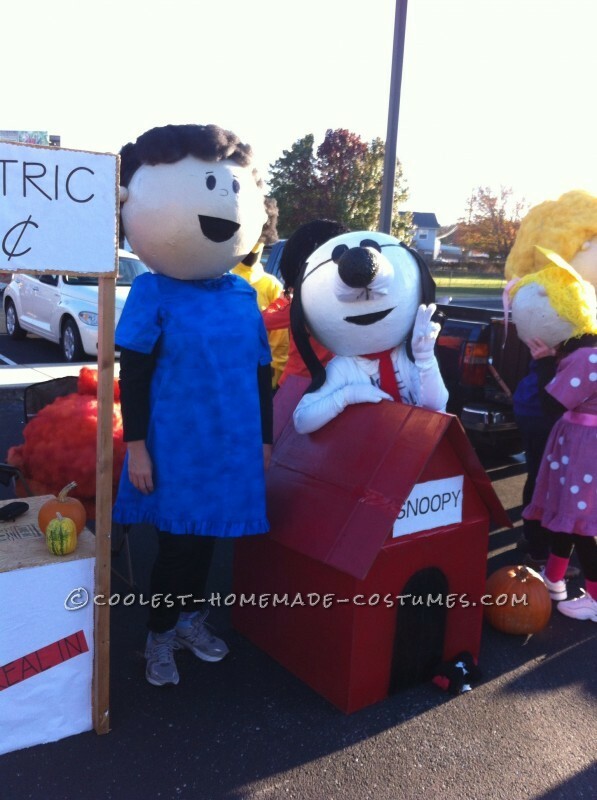 Snoopy’s dog box was made from cardboard and painted. Lucy’s psychiatric stand was made from plywood. We worked for two weeks and had a blast! !